For at least 900 years, the Acoma Pueblo has persisted atop the mesa of Acoma Rock, 365 feet above the desert floor. A seemingly impenetrable fortress, the pueblo’s location helped the Acoma stave attacks from neighboring tribes and resist Spanish invasion until a brutal attack in 1598. Today, about 250 flat-top adobe buildings stand two and three stories high, much like they have for hundreds of years. Most Acoma do not live in the ancient pueblo. 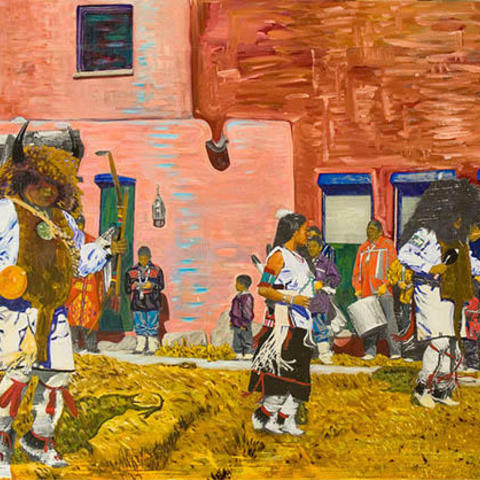 There are only about 20 full-time residents, but many return for special cultural occasions as the pueblo continues to represent their spiritual home. The pueblo’s original streetscape has remained largely intact and without electricity, sewage and water, but some modern conveniences have improved access since colonial times. When they were constructed, the adobe homes had small windows and were without doors at the ground level. Ladders on the exterior of the buildings allowed residents to enter buildings through holes on the roof; ladders are still used to access to the top floors today, but doors provide easy access to the ground floor. For hundreds of years, the only way to the top of the mesa was by using hand-and toeholds carved into the steep rock. All materials for construction and goods in and out of the pueblo were hauled up the cliff on Acoma backs. Luckily for visitors today, a road now connects the pueblo to the desert below. One of the architectural jewels of the Acoma Pueblo is the 17th-century San Esteban del Rey Mission, a 6,000-square-foot adobe church. The mission was declared a National Historic Landmark in 1970 and is listed on the National Register of Historic Places. The church’s design reflects the fusion of indigenous and Christian beliefs; its walls feature images of traditional Acoma culture, and a buffalo-hide tapestry depicts the life of a saint. The Acoma were forced into labor to construct the church. They hauled 20,000 tons of adobe, sandstone, straw and mud up the mesa. But despite the use of forced labor, most Acoma regard the church as a treasure today. A one-and-a-half-hour guided pueblo tour is offered seven days a week from Sky City Cultural Center. During the tour, the local guide shares Acoma history, culture, art and architecture while walking around the pueblo. 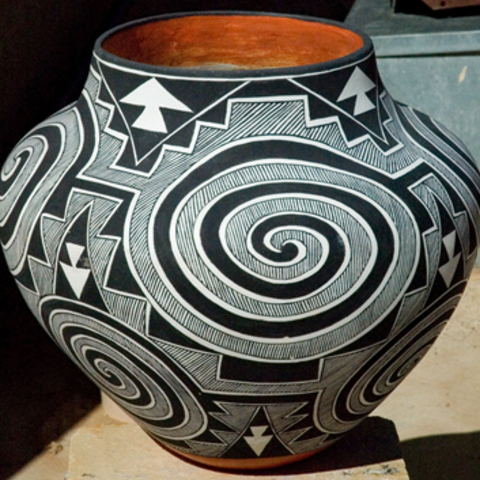 Tour participants also have an opportunity to buy the famous Acoma pottery from local artists. The lower levels of the buildings were traditionally used for storage. Baking ovens are outside the buildings, with water being collected from three natural cisterns. 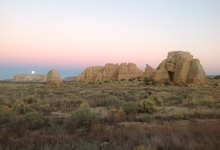 Acoma also has seven rectangular kivas and a village plaza, which serves as the spiritual center for the village. On September 2 each year, Acoma Pueblo celebrates its patron saint, St. Stephen, with a Feast Day open to the public. 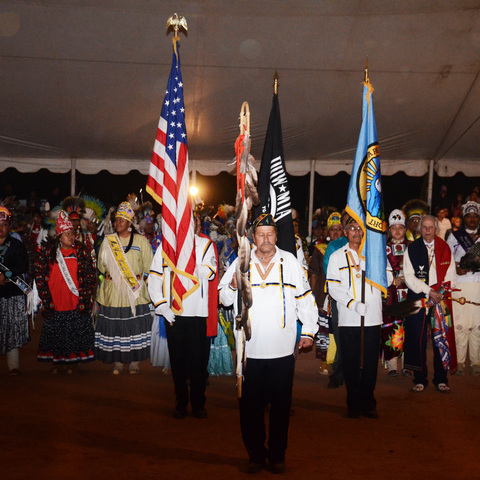 Tribal members come together to celebrate special occasions with reverent dances and songs. Families prepare food for the many invited visitors coming through their homes.